Claire N. Kaplan is Sexual Assault Education Coordinator at the University of Virginia. Circa early 1980s Claire Kaplan, Membership Coordinator was listed as a contact for the Los Angeles Democratic Socialists of America Exectutive Committee. Kaplan was also listed as serving on the Socialist-Feminist Committee. At the bottom of the list was the statement, "Change the USA, work with DSA!". In 1982 Claire Kaplan, Santa Monica, was a committee member of the New American Movement run Socialist Community School in Los Angeles. According to Los Angeles Left October 1989, Los Angeles Democratic Socialists of America's Executive Board consisted of Ben Dobbs, Brad Jones, Barbara Hooper, Claire Kaplan, Bob Niemann, Paul Schimek, Harold Meyerson, Steve Tarzynski. In 1982 was on the Executive Committee, membership coordinator, of Los Angeles Democratic Socialists of America. In 1994 Kaplan of Troy, Virginia was a member of the Democratic Socialists of America Steering Committee. In 1985, Holly Graff, Liz Weston, Claire Kaplan, Kate Ellis and Peg Strobel were listed as members of the steering committee for the Feminist Commission of the Democratic Socialists of America. 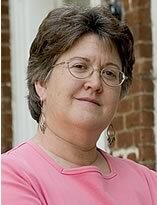 A native Southern Californian, Kaplan moved to the University of Virginia in 1991 having already “come out” as a lesbian. “The Women’s Center [where the Sexual Assault Education Office is housed] has been a good place to work since day one,” she said. In 1991, Claire Kaplan was chair of DSA's national Gay/Lesbian/Bisexual Commission. In 1994 Claire Kaplan was chair of the Charlottesville Democratic Socialists of Americalocal and a member of the NPC. In 1997, Claire Kaplan was the Charlottesville contact for Democratic Socialists of America. Claire Kaplan Virginia, supported the Democratic Socialists of America Unity grouping, established for the 2017 Democratic Socialists of America National Convention in Chicago. In 2018 Claire Kaplan was an original signatory of the DSA North Star founding principles statement.